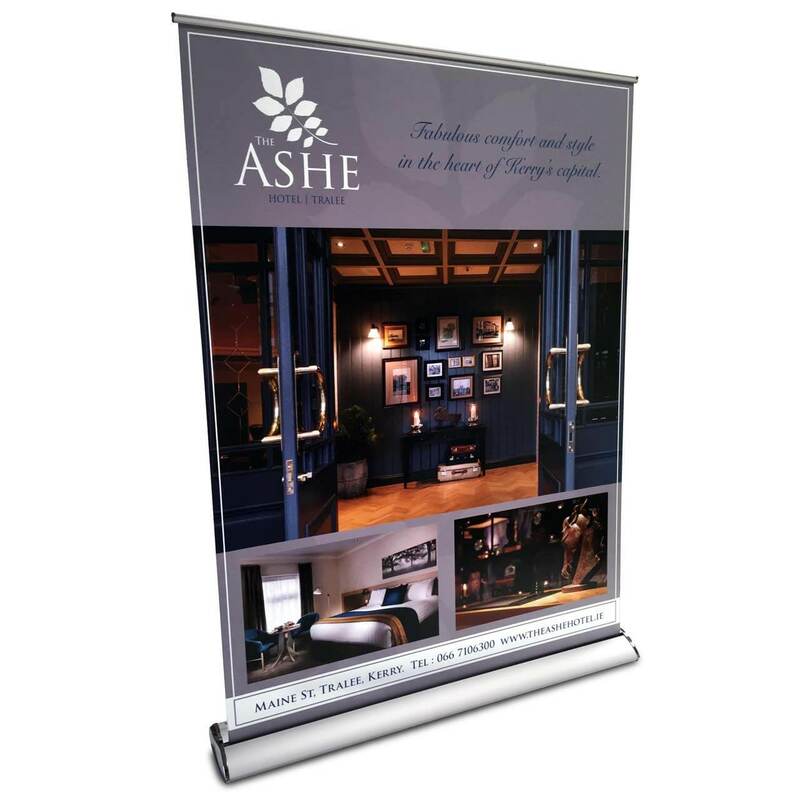 Some of the most appealing and popular exhibition solutions to promote a company or an organisation are high quality Banner Stands. 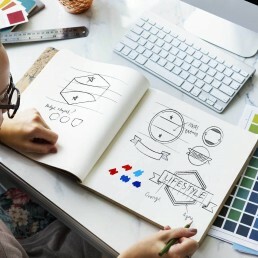 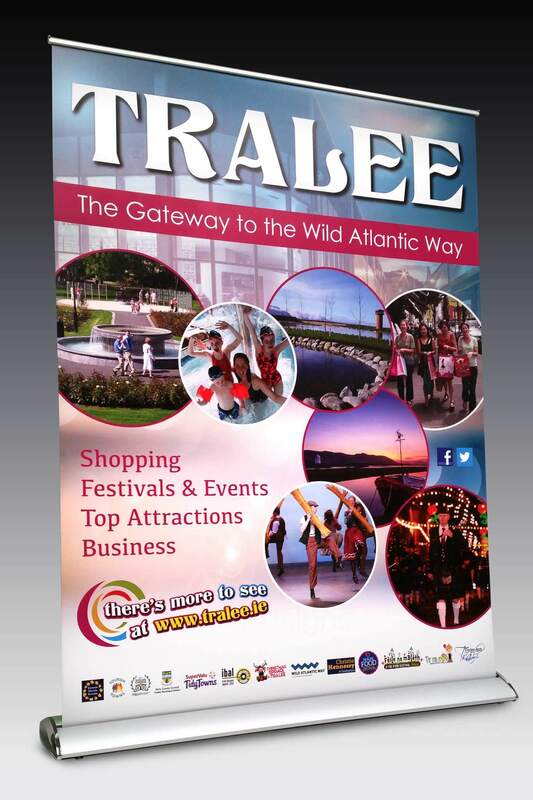 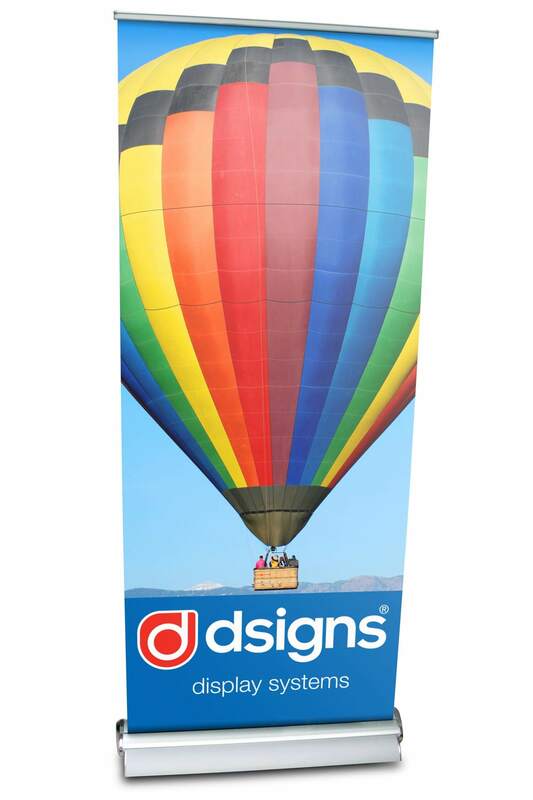 They can help to enhance the visibility of your business, making them the ideal choice for event marketing or promotional use in public spaces. 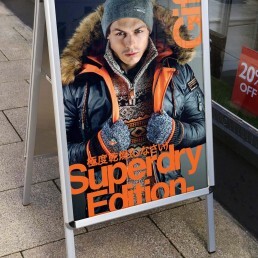 Our display systems can promote products and services with colourful and attractive graphics in an inspiring and imaginative manner, this is essential when attracting potential customers. 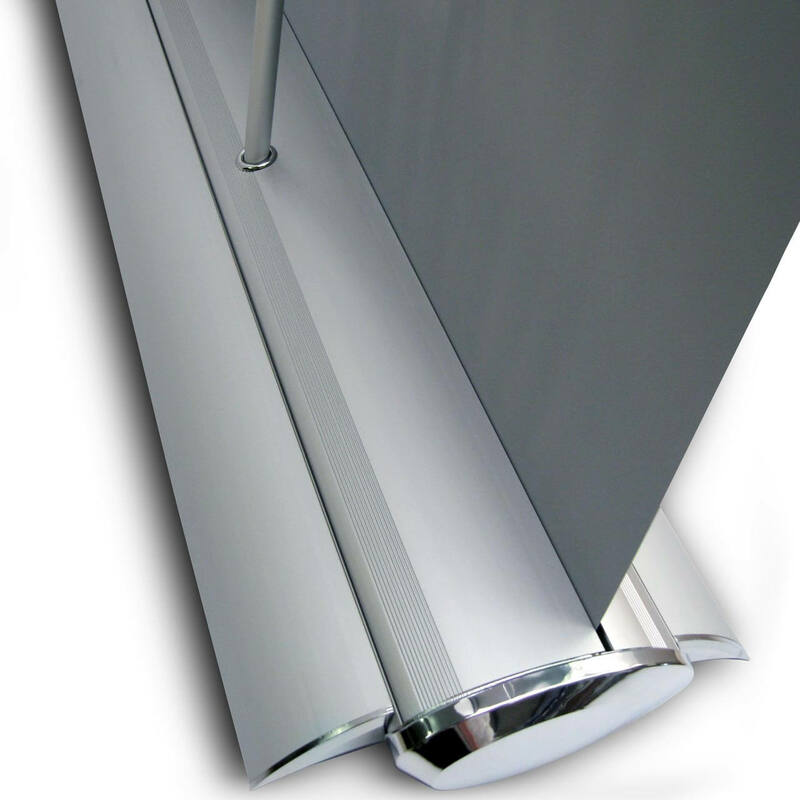 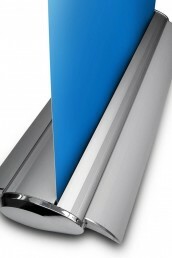 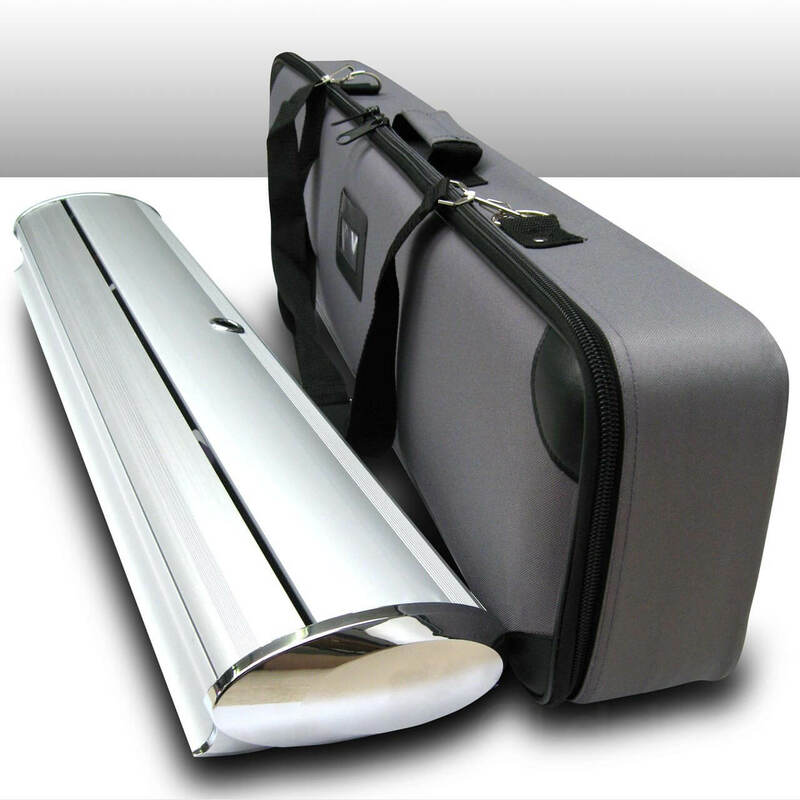 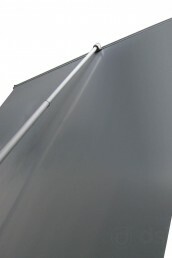 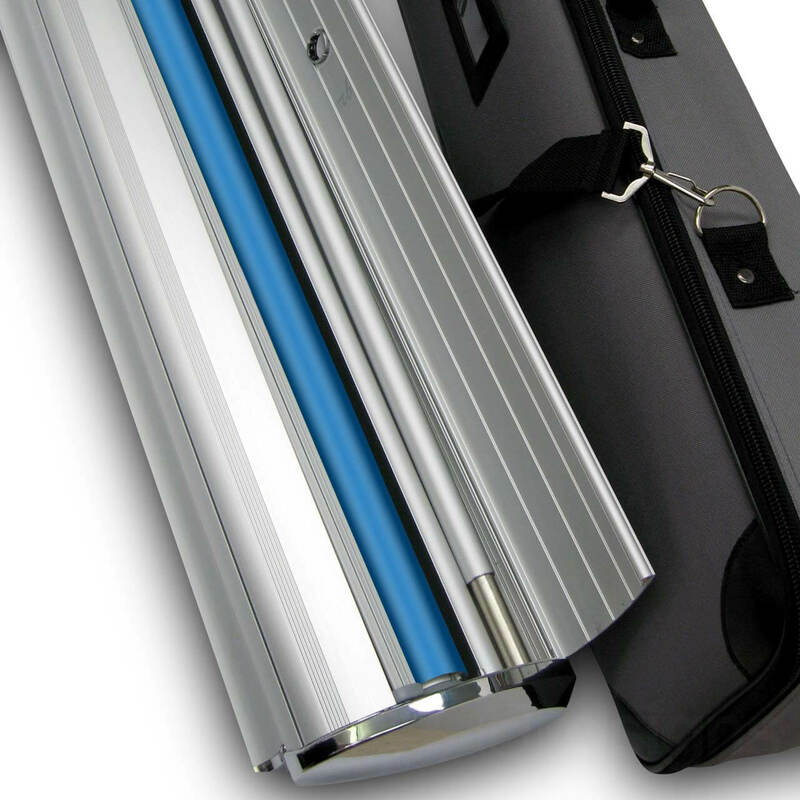 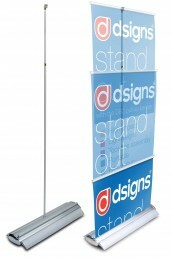 We offer a range of different banner stands for a variety of applications and needs. 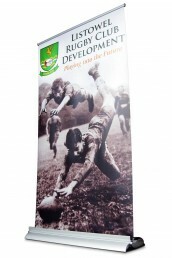 One of our most popular options are Pull Up Banners, sometimes called Roller Banners, these banner stands are available in several widths and are easy to use, simply pull the graphic out of the base unit for an eye-catching display! 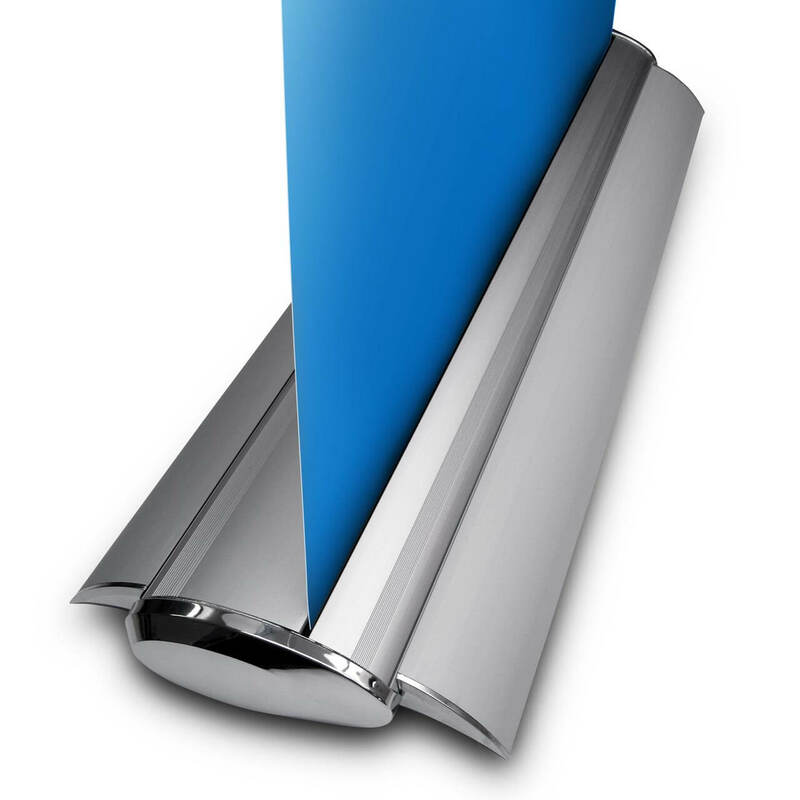 If you want to update your banner graphic at regular intervals, Cassette type banners are a great choice as it is not necessary to replace the graphics cartridge for a new design. 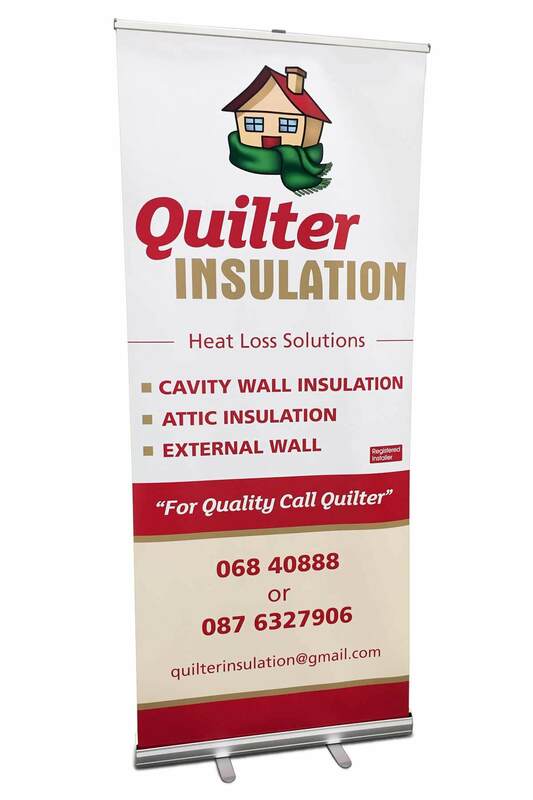 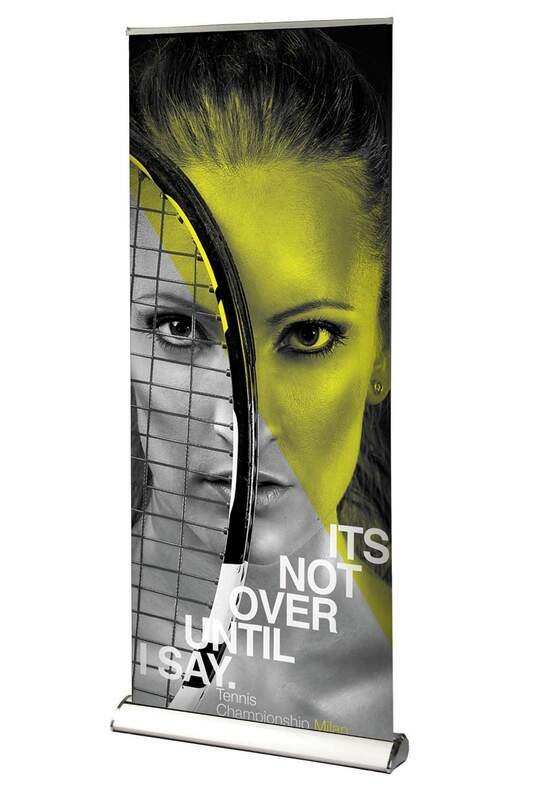 Tension banner stands are also ideal for display scenarios and exhibitors who need to regularly update their banner graphics as they feature a taut external graphic which can be easily changed. 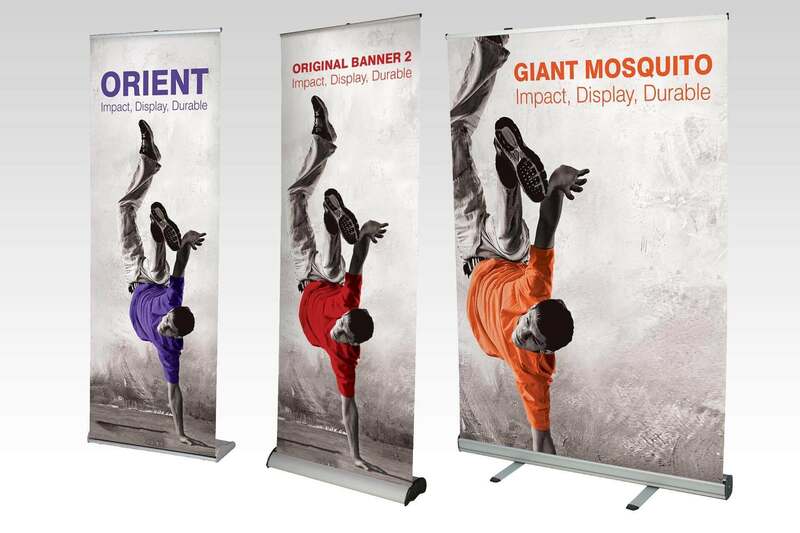 Double-sided banner stands are a great choice for exhibitors who want their banner graphics to be visible from two directions. 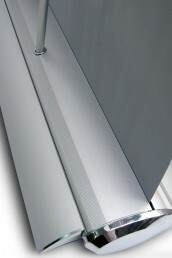 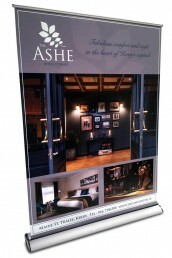 Very lightweight and versatile, Printed-fabric Banner Displays are an attractive solution for larger displays. 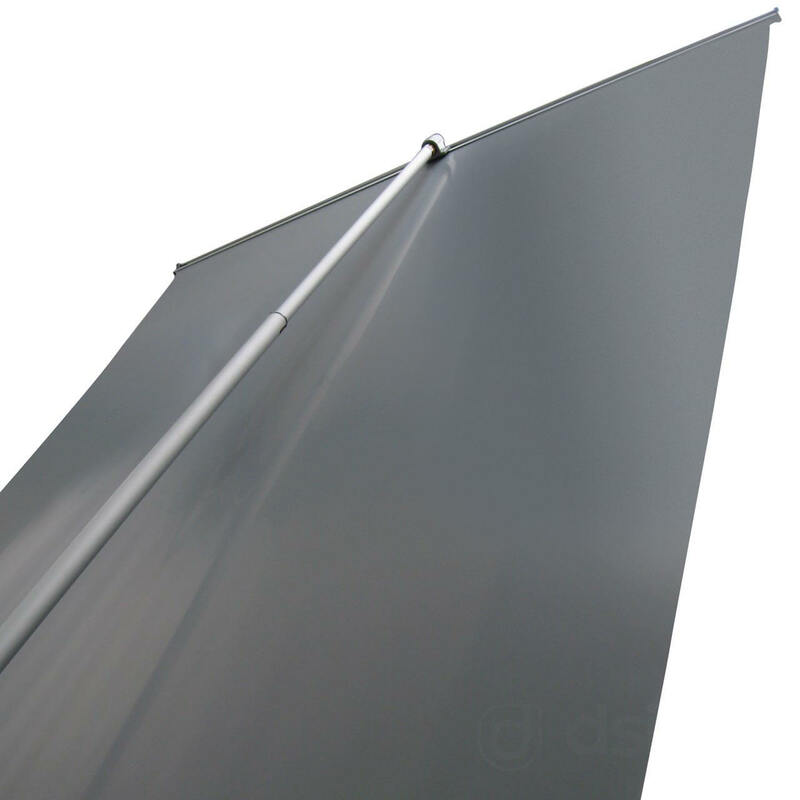 Outdoor banner stands are the ideal solution if you require a more weather resistant and durable banner stand for outdoor use. 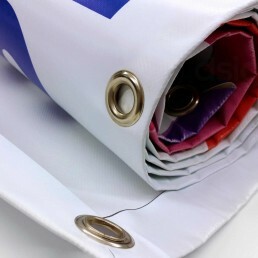 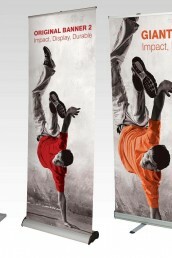 These banner displays have water-fillable or sand bases to keep them upright and stable. 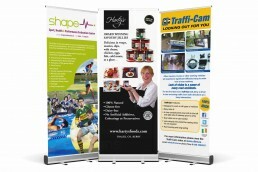 We also offer a wide range of pop up exhibition stands, which are often confused with banner stands. 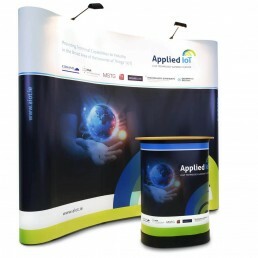 Pop up stands provide a larger backdrop for use at conferences, exhibitions and other promotional events and are available in different sizes and configurations. 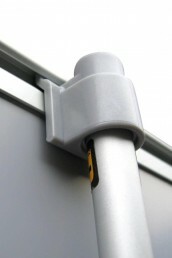 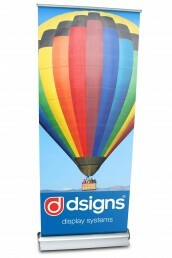 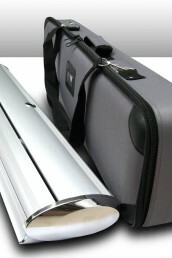 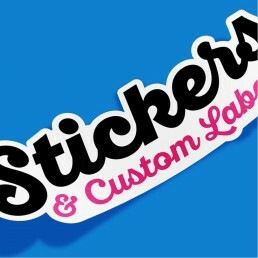 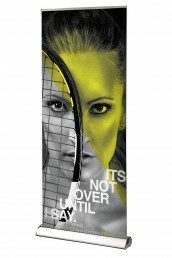 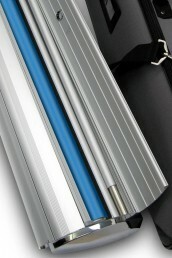 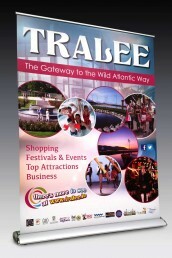 Easy to set up, strong, and good looking, they are the ideal marketing solution for your next promotion or trade show. 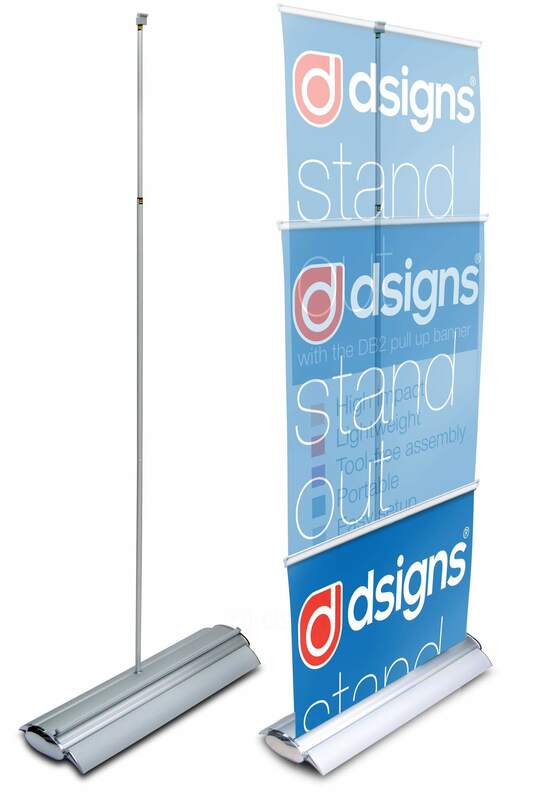 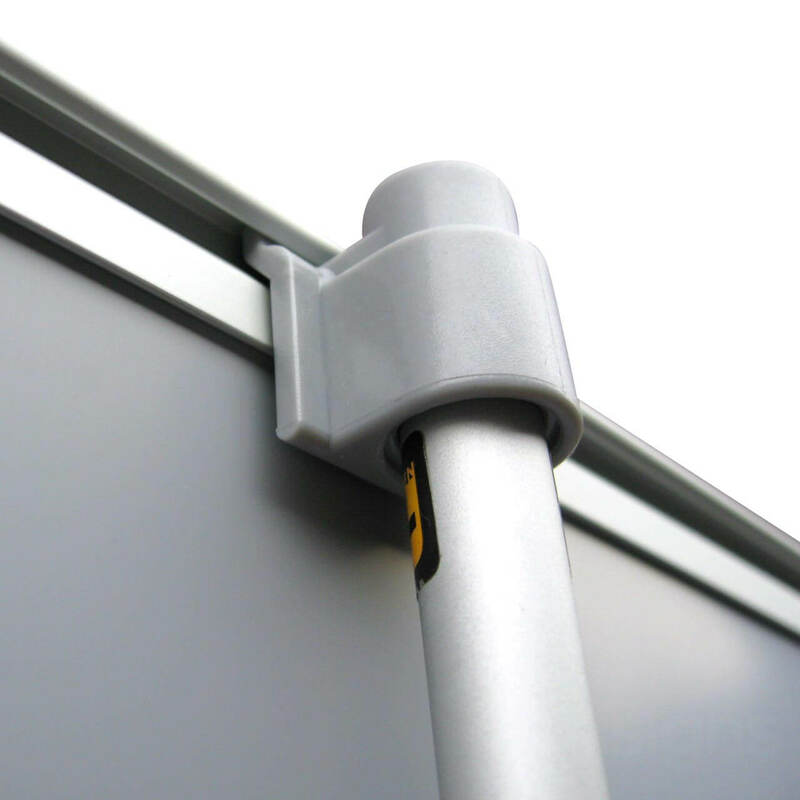 They are easily transported to an exhibition hall where they can be setup quickly with an extendable pole. 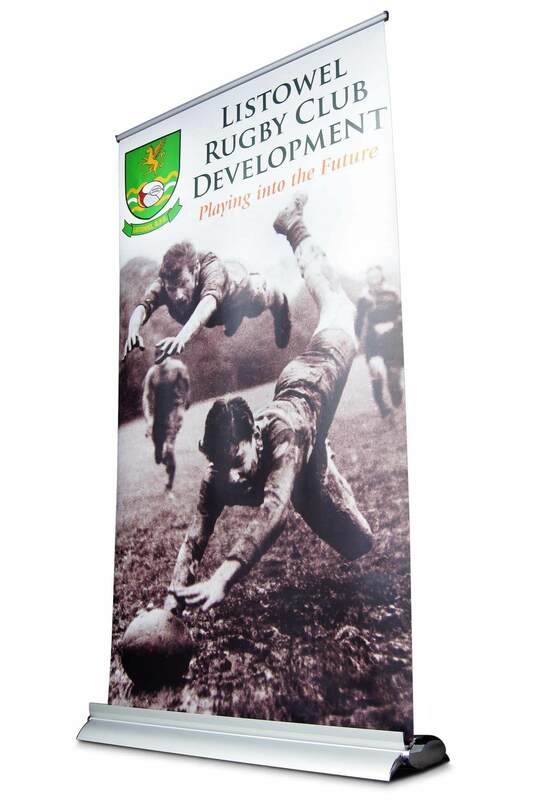 Pull up banners are both versatile and also perfect for reception areas, sales presentations, conferences or corporate events.